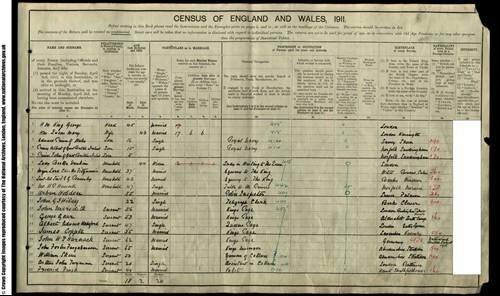 The online census reveals the details of the 36 million people living in England and Wales in 1911. The original census records were handwritten by each individual head of household. ISP Brightsolid, an expert in the digitisation and management of records, digitised the hand written census forms.